Of maybe more interest is the Barents Sea ocean where the water is open to animals. 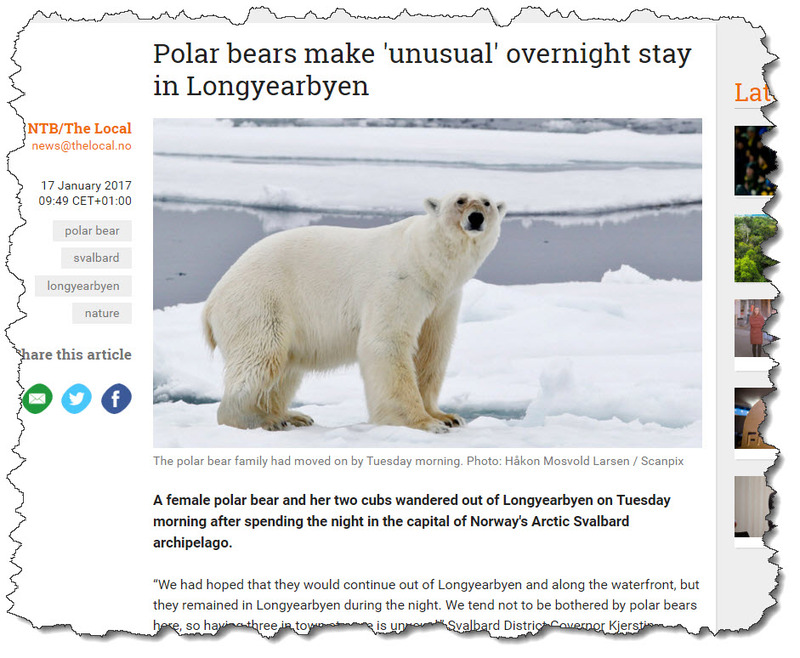 The specialist sea ice animals will be limited to the north. In the Northern Bering Sea the ice edge is still quite a bit farther north. I don't know the region enough to speculate on impacts. The Sea of Okhotsk is an interesting one. If you look at the NSDIC pages you can see that the sea ice extent is currently on the median sea ice extent (1981-2010) - so in their plots it doesn't look low. But I don't think this makes much sense as over this time the sea ice has reduced so much. That is why I used a mean concentration for the period 1989-93 - which is just before the rapid decrease in Arctic sea ice. Okhotsk and the sea ice that is formed there has been found to be very important for the formation of a major Pacific Water mass (WOCE section P1W in the Sea of Okhotsk: 1. Oceanographic data description), so we could expect future changes in the North Pacific. It was also the site of some top cold war submarine spying action if you are interesting in that sort of thing (A Tale of Daring American Submarine Espionage). I have written about the Odden Ice Tongue previously. It's what I did my PhD on, and it's gone. So where is there more sea ice? In the Eastern Siberian Sea north of Russia you can see the sea ice is at the climatic mean (white / very pale blue). That means the sea ice is present, it is still a major hazard for navigation and just like Nansen deliberately did in 1893, ships still get stuck. I do like the picture in the story. It's winter and it's dark. 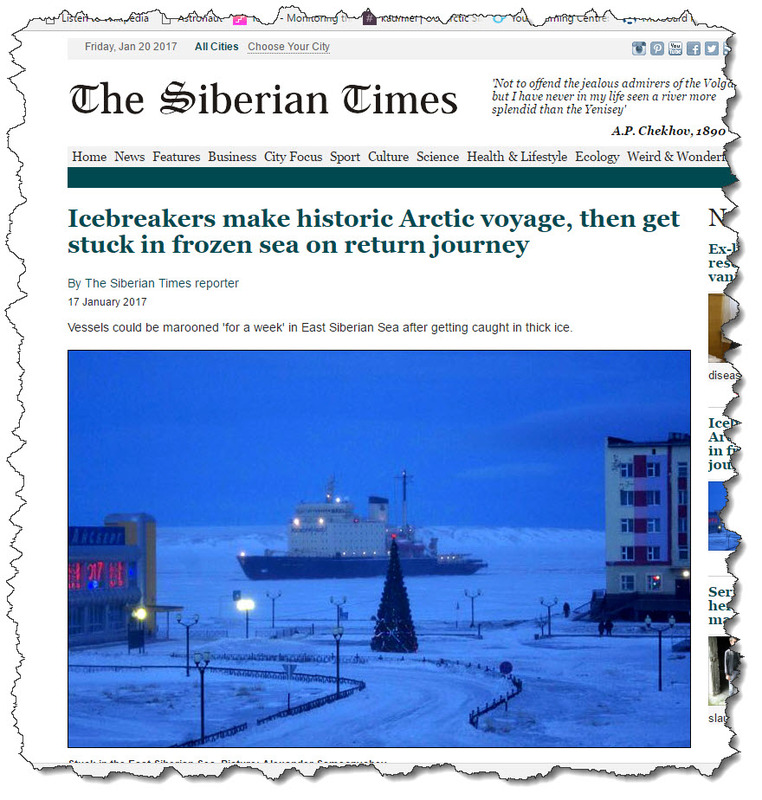 The Siberian Times 17 January 2017. Arctic anomalies this year were close to 4ºC above the late 19th Century, over 3 times as big an anomaly as the global mean. 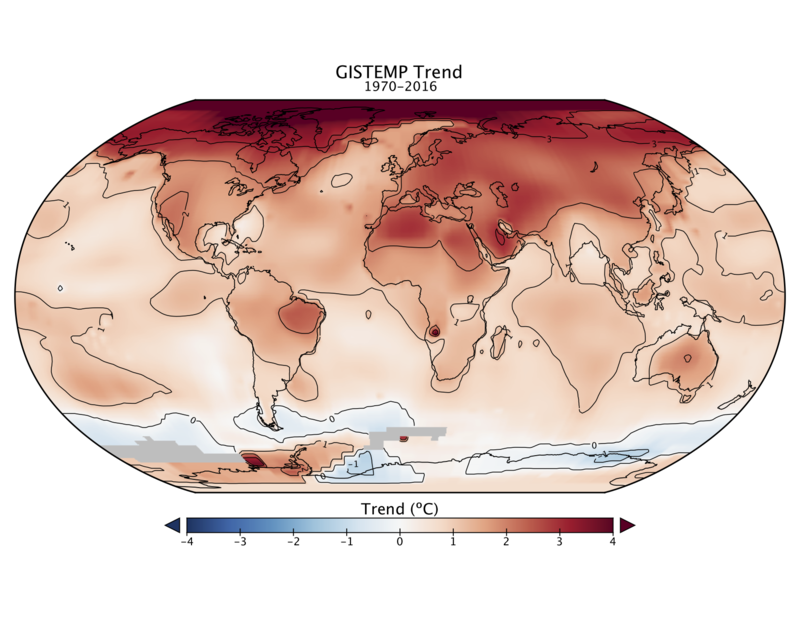 From www.realclimate.org. I hope this puts a little more context on the excellent data plots from the National Snow and Ice Data Center. 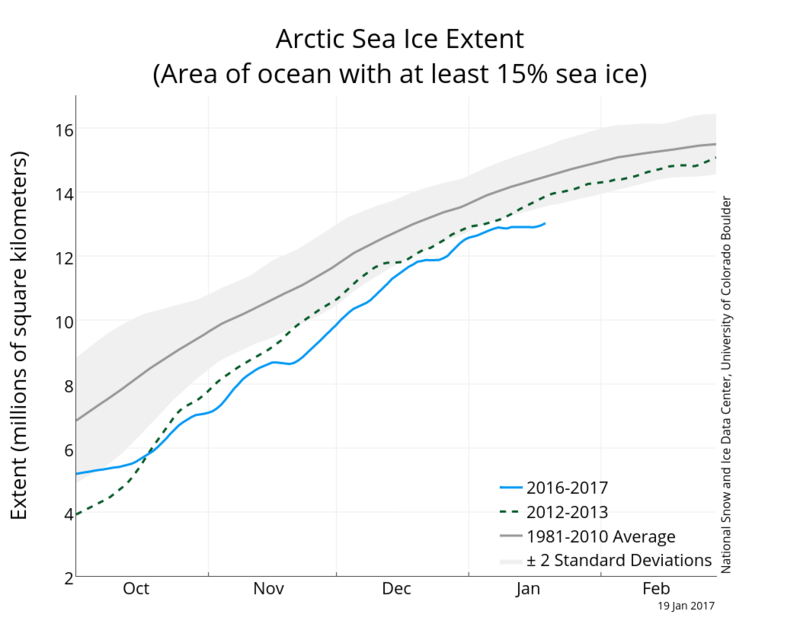 Arctic sea ice extent to 19 January 2018 from NSIDC. The Arctic sea ice continues at record low extents.